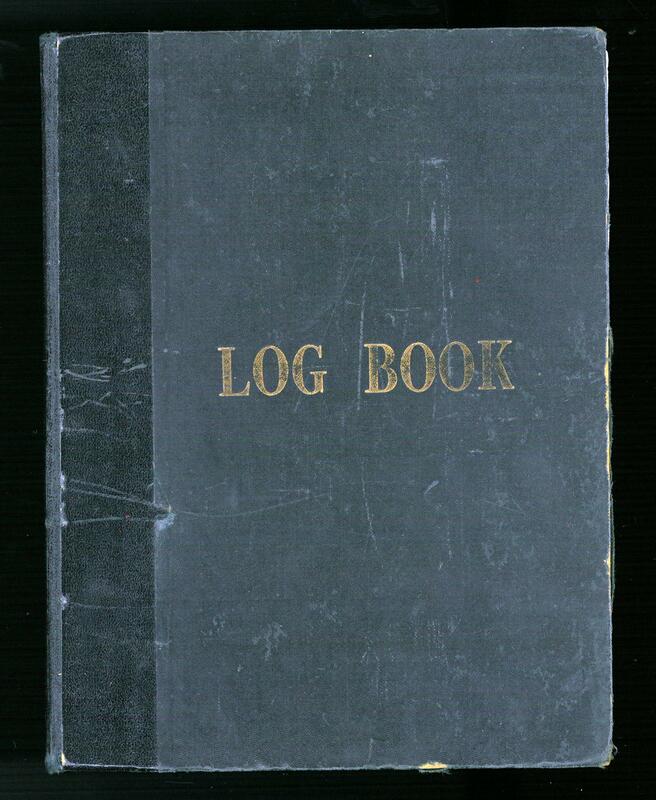 Our first feature for Explore Your Archives 2017 is a focus on school log books. 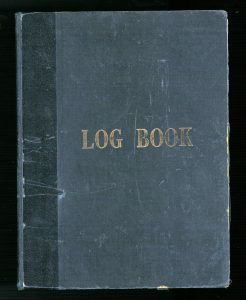 A log book is an administrative record that schools were obliged to keep under the provisions of the Education (Scotland) Act 1872. 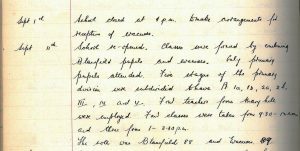 The Head Teacher was obliged to make a daily record of actions and occurrences at the school including factors affecting staff and pupil attendance, attendance statistics, lists of teaching staff and subjects taught, dates and results of visits by H M Inspectors and other events such as celebrations for the Queen’s Diamond Jubilee and Empire Day. The resulting record is very much a diary of the school and can be very interesting for background information on life there. It is important to remember, however, that log books rarely mention pupils by name. It is possible and one of these cases is shown below, but in general they are not great for genealogical information. If you are looking for family history information about pupils, a great place to start is the admission and withdrawal registers, which we will focus on tomorrow. 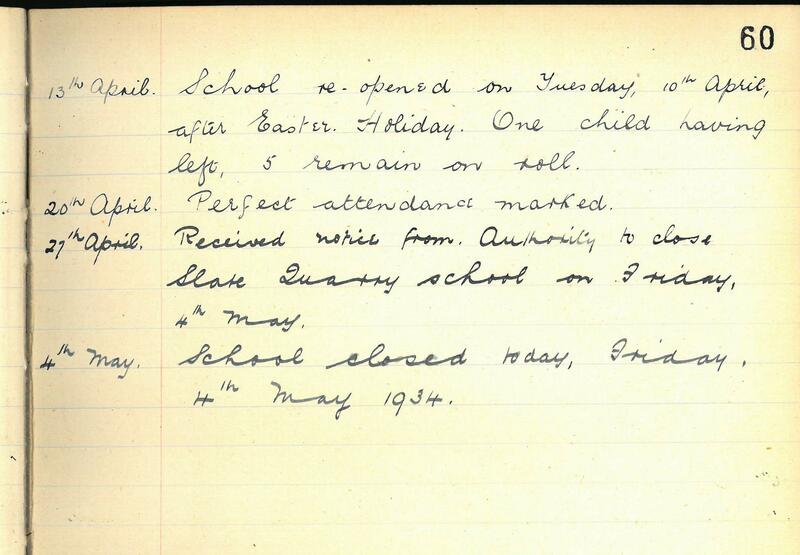 Please also note that due to data protection legislation, school log books can be closed for up to 100 years. Here are some examples of the information you may find in a log book. 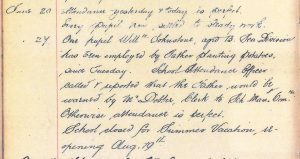 This entry from the West Plean School log book (ED/SN11/1/2) in 1924 shows how pupil William Johnstone had been off school as his father had employed him to plant potatoes. It’s safe to say that the school was not happy about this and warned the father not to do it again! 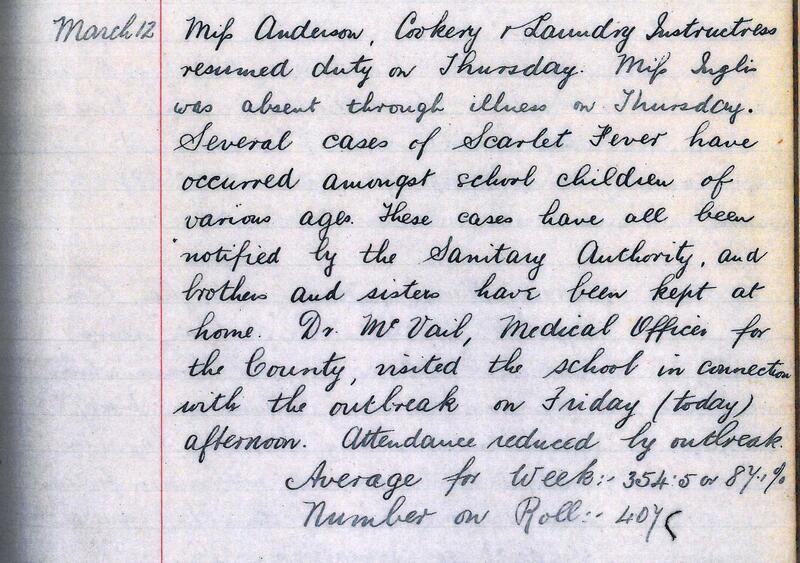 Outbreaks of illnesses in schools were often recorded in log books. 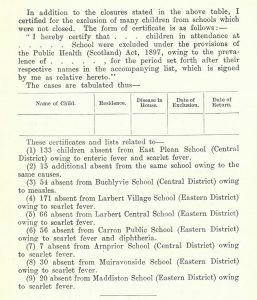 On the 12 March 1909, it is noted that an outbreak of scarlet fever had occurred at East Plean School (ED/SN9/1/1). If there was a notable outbreak of illness, this was also recorded by the Medical Officer of Health. 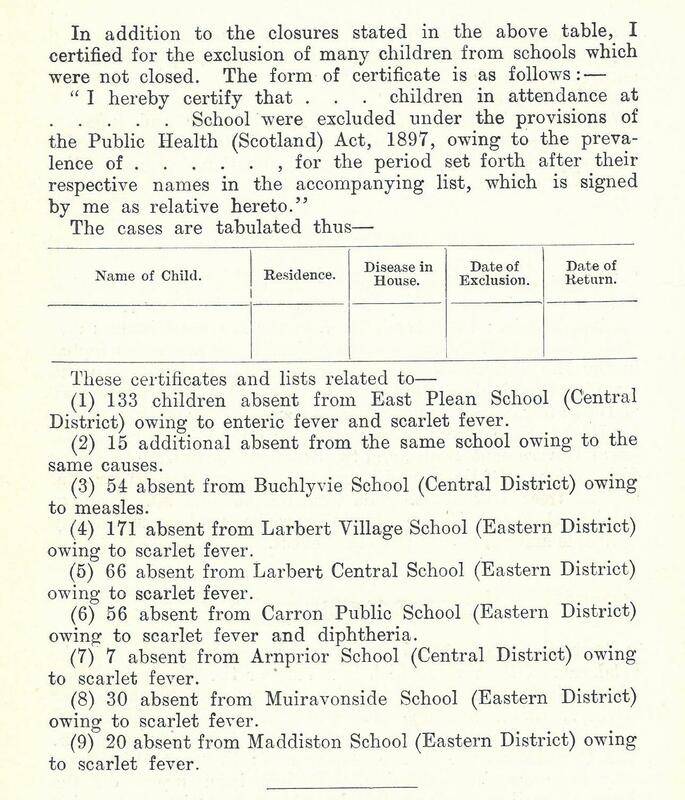 From the Medical Officer of Health’s annual report for Stirling County, we can see that 133 children were absent from East Plean School in 1909 due to enteric fever and scarlet fever. Celebrations and local events also occur in the log books. 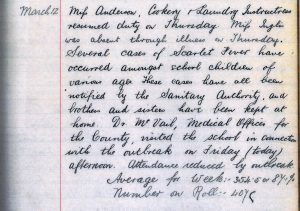 This entry from Drymen School (ED/DR3/1/1) in 1876 shows that a number of pupils were absent as they had to help set up a local fair. 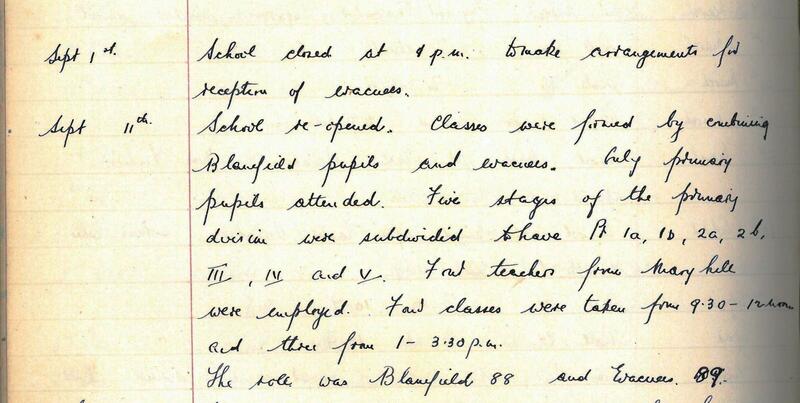 This entry from Croftamie School (ED/DR1/1/2) notes that the school was to close for one day for the celebration of the marriage of Princess Margaret in 1960. 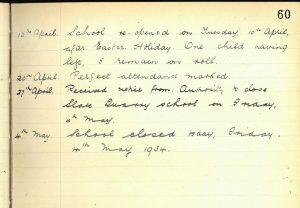 Entries concerning evacuees also occur in some school log books during the Second World War. It is important to remember that it was rare for evacuee names to be given in log books. They can, however, confirm how many evacuees were present at a school as seen in this entry from Strathblane School (ED/ST1/1/1). Finally, notices of school closures are also present. If a school had been identified for closure, there can often be the opinion of the head teacher within the log book. 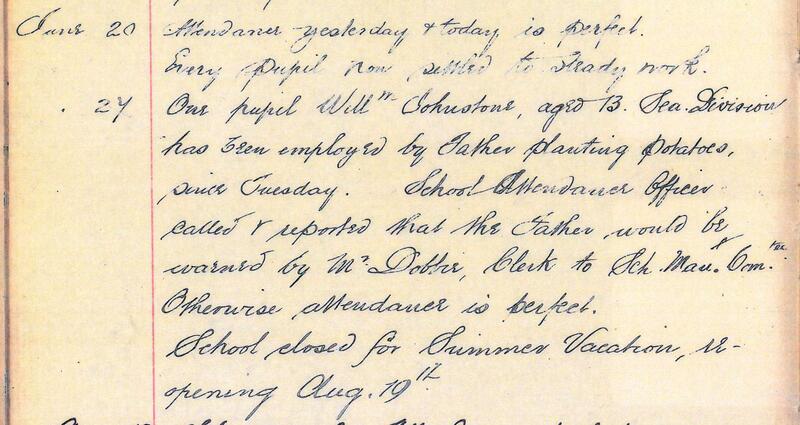 Log books can also provide a specific date for the closure of a school, as seen with this example from the Aberfoyle Slate Quarry School in 1934.